Your kids are more conservative than you are! 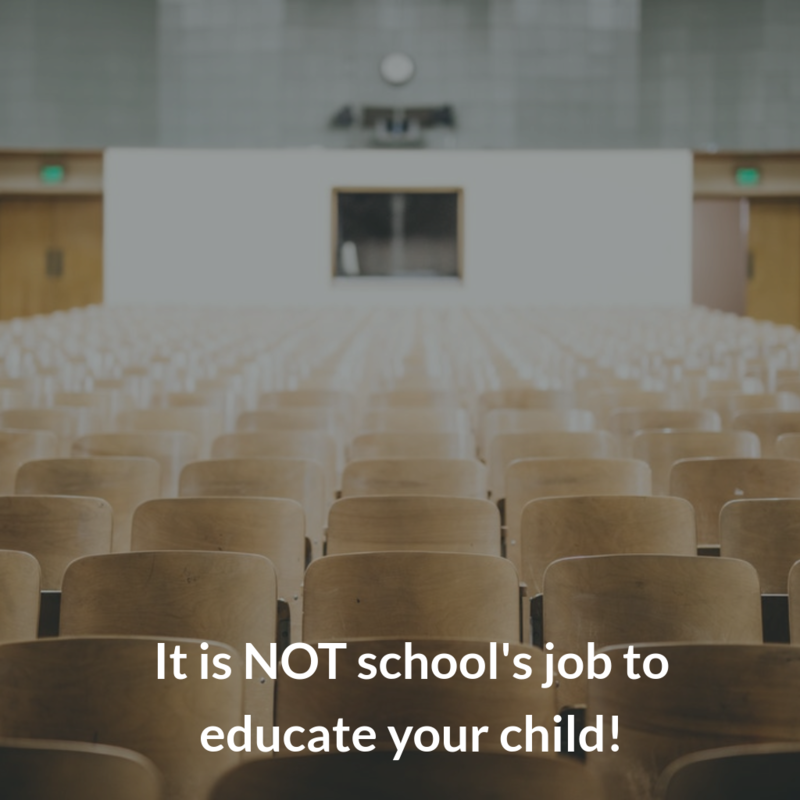 It is not school’s job to educate your child! It is not school’s job to educate your children! Who would have thought that! I’m not talking about home schooling ether. I’m talking about your responsibility to ensure your child learns everything they need to know to become a decent, successful adult. So let’s talk about personal responsibility. Two of the biggest words in the English language, and two of the most neglected. I remember talking with the mother of a “problem child” at school, years ago. I’d been part of the volunteer reading program for a year or so, helping her child who was struggling to make sense of the letters before him. We were chatting away, and I commented how he was starting to be able to read, which was awesome. I asked if she was doing the extra reading with him in the evenings that I’d asked her to do with him, to support all the hard work I was putting in at school. Think of state-funded school-based education like this: it provides the bare minimum for our kids. The absolute minimum. Sort of like giving a kid a piece of really cheap bread with a scraping of margarine and nothing else and calling it a sandwich. If your child is lucky, and clever, he or she will get through without too many problems, and learn the bare minimum they need to cope with society. However, if your child needs a little more help, it’s more likely than not that this bare minimum will not be enough, and they won’t get through. They’ll struggle, and start to say they “hate school” and, well, you know the rest. If you’re happy with your child receiving the bare minimum, go right ahead. Let the school do everything. Your child might get through. Make the time! Adults spend an average of 50 minutes a day on Facebook apps alone, according to one source. That’s nearly an hour you could spend reading, doing extra maths, or studying history along with your kids. Or is Facebook more important? If we want our kids to thrive, we need to make them our priority. If we don’t, we need to ask why we had kids in the first place! Make dinner table conversation a thing. Talk about what’s happening around the world. Ask for input from your kids – what they think and why. Debate issues. talk about politics and social issues. Watch the news together, and criticise it. Ensure that homework happens. Homework should be happening every night, regardless of age. All kids can read for at least an hour or two if they have nothing set, or they can do maths games, or create arts at home. Anything to get their brains working. Encourage reading! We try to get our kids reading every day. Ensure your kids always have a book on the go – it doesn’t matter what. We also don’t ever restrict what they are allowed to read. Everything is okay. Movies based on books… If they want to see a movie based on a book, they must read the book first. This goes for everything from Lord of the Rings to the Garfield movies – they have to read the comics first! Then talk about the differences. Which was better? Did the storyline differ? Were character missing? Which sucked? Why? Tour your home town. Visit museums, historic houses, botanic gardens, beaches, parks… learn about the history of your city or town together. Become a citizen, not just an inhabitant, of where you live. Set chores. Your child is part of the family. They need to contribute. Even the youngest child can make their own lunch and lay the table. Set a work routine for each child that is fair, and make sure they stick to it. Learn about other countries. Where is France? Germany? Afghanistan? Iraq? Peru? Mexico? Syria? China? Why are these places in the news, and what are they like for the people who live there? Look them up online and learn together. Learn about other religions. What do other people believe around the world, and why? Are they friendly? If they move to our countries will they fit in well with our culture, or not? If not, why not? Learn about our food. What are you eating for dinner tonight, and where did your food come from? What are the different meats called, how are they prepared, and what animals did they come from? Where were the animals raised, and how were they slaughtered? How were the plants grown, what do they look like when they’re growing, and how were they harvested? Our kids are important, and raising them is the most important job any of us will ever have. It’s time we realized that. It’s up to us to be the best parents we can be, and to educate our kids to the best of our ability. I was home educated and I am so thankful. My younger siblings are being home educated too and I enjoy assisting my parents in teaching them.